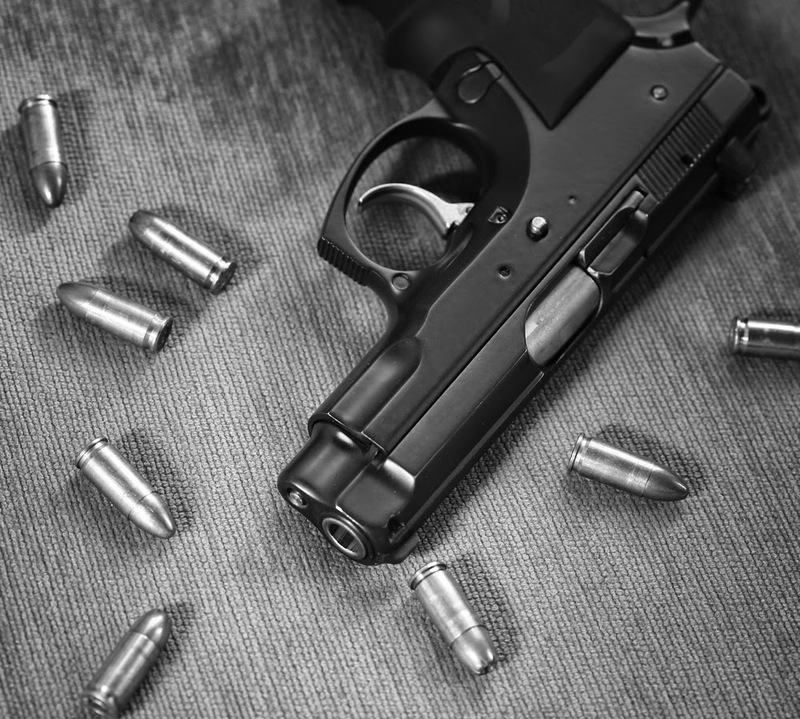 Despite recommendations to limit access to guns for people with risk factors for suicide, adolescents with and without a recent or lifetime history of suicidality are equally likely to live in homes with access to a firearm, according to a study published online yesterday in JAMA Psychiatry. The National Comorbidity Survey—Adolescent Supplement questioned 10,123 adolescents from 2001 to 2004 and found that 29% reported a firearm in the house, and about one-third of that group said they had easy access to and an ability to fire the weapon, wrote Joseph A. Simonetti, M.D., M.P.H., of the Department of Medicine and the School of Public Health at the University of Washington and the Veterans Affairs Puget Sound Health Care System in Seattle and colleagues. A little over half (54%) of adolescents with firearms access met lifetime criteria for a mental disorder compared 49% of those with a mental disorder but without firearm access. However, the researchers said, “a greater proportion of those with access had a recent history of alcohol abuse (8.2% vs. 2.9%), a lifetime history of alcohol abuse (10.1% vs. 3.8%), and a lifetime history of drug abuse (11.4% vs. 6.9%)”—all factors found at higher rates among those who die by suicide. For more in Psychiatric News about addressing firearm safety in medical visits, see "Court Upholds Ban on Doctors Discussing Gun Ownership." A combination of the antipsychotic olanzapine and the antidepressant fluoxetine proved superior to placebo for acute treatment of bipolar I depression in patients aged 10-17 in a randomized control trial published online in the Journal of the American Academy of Child and Adolescent Psychiatry. 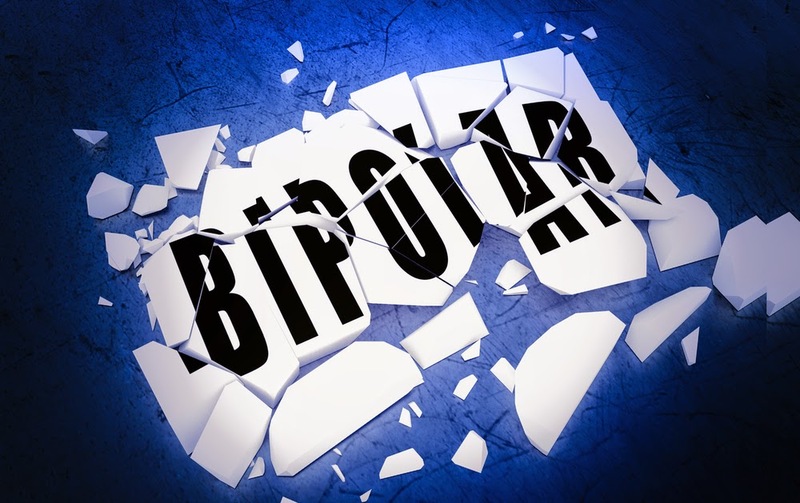 The double-blind study by researchers at Eli Lilly and Company randomized 170 young patients with bipolar I disorder experiencing an acute depressed episode to the olanzapine/fluoxetine combination (OFC) and 85 to placebo for up to eight weeks of treatment. The primary efficacy measure was mean change in the Children’s Depression Rating Scale-Revised (CDRS-R). Baseline-to-week-8 least-squares mean change in CDRS-R score was greater for OFC-treated patients than for placebo-treated patients, with between-group differences statistically significant at week 1 and all subsequent visits. Rates of and times to response and remission were statistically significantly greater for OFC- than placebo-treated patients. The most frequent treatment-emergent adverse events in the OFC group were weight gain, increased appetite, and somnolence. Treatment-emergent hyperlipidemia was common among OFC-treated patients. “OFC was superior to placebo and approved by the U.S. Food and Drug Administration (FDA) for the acute treatment of bipolar I depression in patients 10-17 years of age. 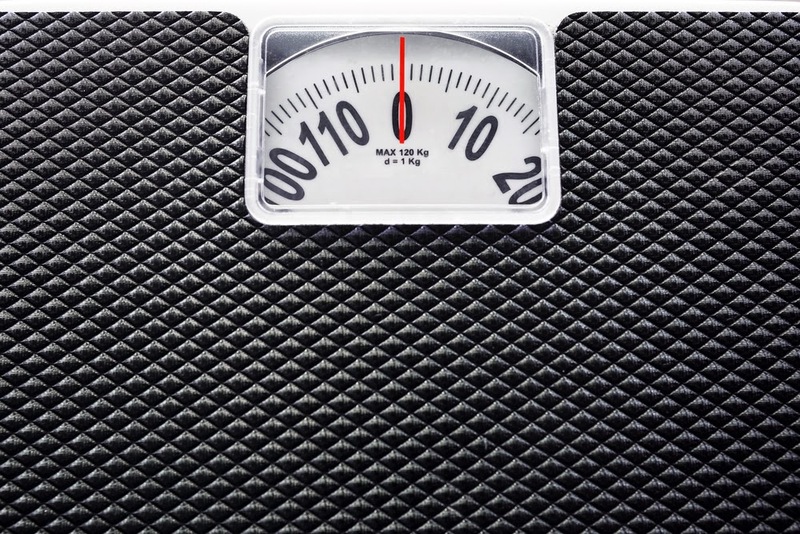 Benefits should be weighed versus the risk of adverse events, particularly weight gain and hyperlipidemia,” the researchers said. To read more about research on child and adolescent bipolar disorder, see the Psychiatric News article, "Link Found Between Glutamate, Adolescent Bipolar Disorder." The Food and Drug Administration approved the New Drug Application for Namzaric to treat moderate to severe Alzheimer’s. Namzaric is a fixed-dose combination of extended-release memantine hydrochloride, a NMDA receptor antagonist, and donepezil hydrochloride, an acetylcholinesterase inhibitor. These two medications are often co-prescribed for Alzheimer’s patients, and a recent clinical study demonstrated that giving memantine to patients already taking acetylcholinesterase inhibitors could boost improvements in cognition and functioning, with minimal adverse effects. 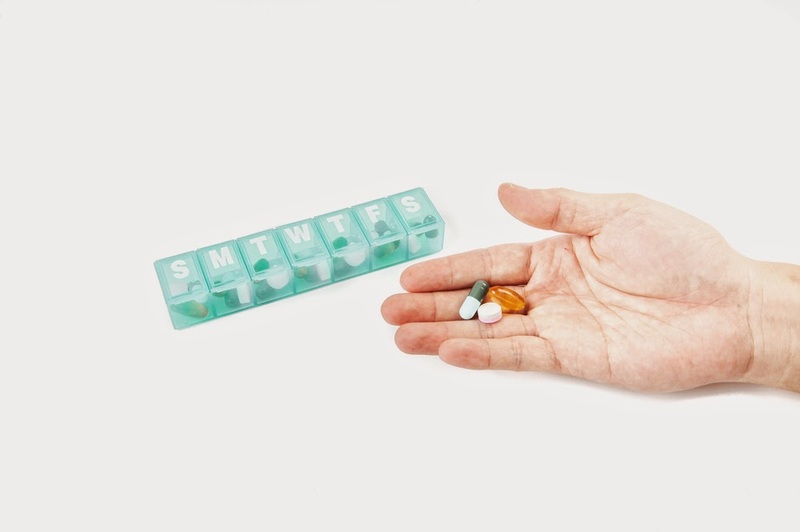 This new dual-formula drug will reduce the number of pills Alzheimer’s patients need to take daily; the capsule can also be opened and the drug sprinkled on food for patients who have difficulty swallowing. Namzaric was developed by Actavis along with partner Adamas Pharmaceuticals and is expected to be launched in the U.S. sometime in the second quarter of 2015. 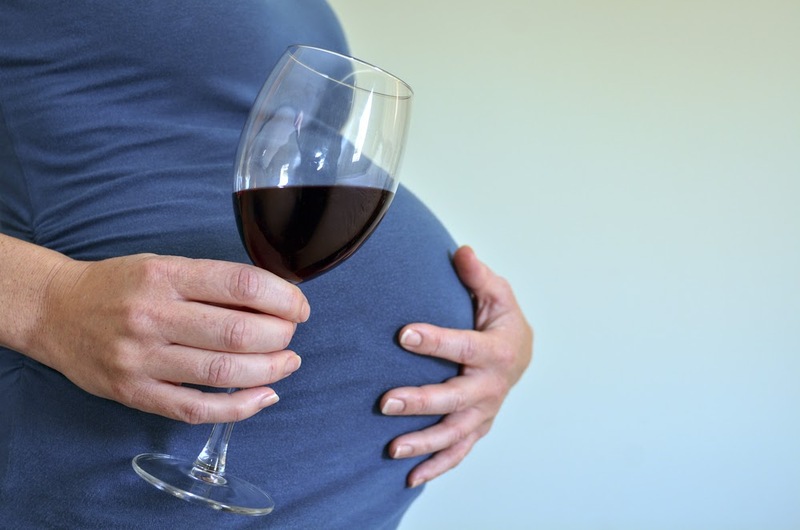 A Swedish population study finds that that many of the educational, employment, health, and other outcomes for 79 adults diagnosed as children with fetal alcohol syndrome (FAS) were different from those of a matched comparison group of 3,160 people, said Jenny Rangmar, Ph.L, a doctoral candidate at Gothenburg University, and colleagues in the January Pediatrics. For instance, the FAS group (average age, 32) were more likely to have received a disability pension (31 percent vs. 3 percent), to have received special education (25 percent vs. 2 percent), and to have higher hospital admission rates for psychiatric disorders (33 percent vs. 5 percent). However, rates of criminal conviction were slightly but not significantly higher for the FAS group and were actually lower than a subset of the comparison group that had been placed in state care. Of those who did receive special education, about 60 percent completed high school, suggesting some disabilities “may be ameliorated by protective factors like special education and assistance in school.” Finally, 49 percent of FAS subjects were employed, although probably in lower-paying jobs than their peers, the researchers noted. These results may have been influenced by an early diagnosis of FAS, providing “a protective effect because it may give children benefit from appropriate services,” said Rangmar and colleagues. For more on research into suicide prevention, see the Psychiatric News article, "Novel Suicide-Prevention Treatment Targets Poor Sleep." A new surveillance study has found that benzodiazepine usage increases with age, with nearly 9 percent of adults aged 65 to 80 filling a benzodiazepine prescription in 2008, compared with around 7 percent of adults 51 to 64, 5 percent of adults aged 36 to 50, and less than 3 percent of adults aged 18 to 35. Adults over 65 were also more likely to have a long-term prescription for a benzodiazepine and were more likely to have their prescription written by a nonpsychiatrist; psychiatrists wrote less than 6 percent of benzodiazepine prescriptions for those aged 65 to 80. These findings were published in JAMA Psychiatry on December 17. Benzodiazepines can be effective in the short-term for treating anxiety or insomnia, but their risk of dependence and adverse effects such as cognitive impairment and loss of balance has led to expert recommendations to limit their use, especially in elderly people. Schoenbaum proposed that clinicians should restart a dialogue on the usage of benzodiazepines in the elderly, though a commentary accompanying the study suggested even stronger changes. “It may be time to act, perhaps first by restricting the prescription of benzodiazepines to psychiatrists. In the study, psychiatrists seemed to prescribe them properly. The next step is to consider them the same as other dangerous addictive substances and put them on a tight dispensation schedule using limited-duration prescriptions with no refills,” the commentary authors wrote. To read about the potential cognitive harm of benzodiazepine use, see the Psychiatric News article "Long-Term Use of Benzodiazepines May Be Linked to Alzheimer’s. A study published in today’s American Journal of Psychiatry suggests that misfiring of the brain’s control system for habits may be a reason for compulsions in obsessive-compulsive disorder (OCD). 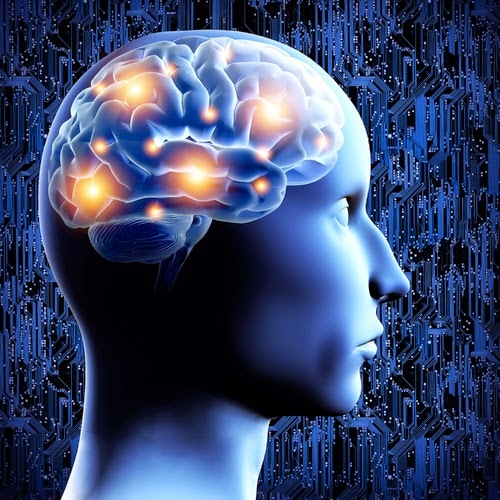 Researchers in the departments of psychiatry and psychocology at Cambridge Behavioural and Clinical Neuroscience Institute and New York University performed MRI scans on the brains of 70 people, with and without OCD, to determine whether an association existed between symptoms of OCD and abnormal brain activation in the caudate nucleus, a structure in the basal ganglia that must fire correctly for one to control their habits. While receiving scans, the patients were asked to press a pedal, a part of a pedal pressing behavioral test, to avoid shock to the wrist. In the final stage of testing, the shock block was removed to assess whether the pedal-pressing behaviors of the patients could be discontinued. The researchers found that patients with OCD were less capable of stopping their pedal-pressing habits than the control group. In addition, individuals in the OCD cohort were more likely to have hyperactivation in the caudate nucleus, compared with those without OCD. The study’s lead author, Claire Gillian, Ph.D., a professor of psychology at the New York University, stated that the findings may not be specific to OCD and that in fact habits may underpin symptoms of many psychiatric conditions. “There are a range of human behaviors that are now considered examples of compulsivity, including drug and alcohol abuse and binge eating. 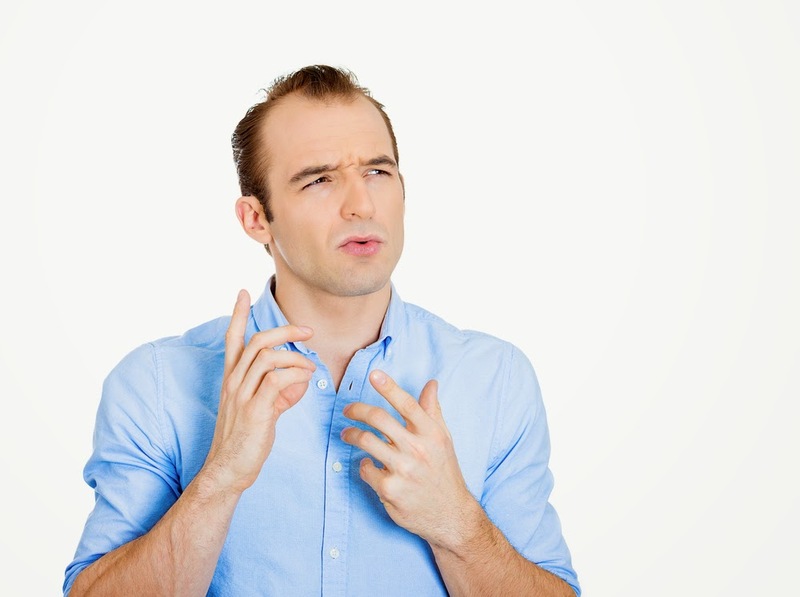 What all these behaviors have in common is the loss of top-down control, perhaps due to miscommunication between regions that control our habits and those such as the prefrontal cortex that normally help control volitional behavior. As compulsive behaviors become more ingrained over time, our intentions play less and less of a role in what we actually do,” she concluded. A New York state initiative to provide psychiatric consultation to pediatric primary care providers about prescribing psychotropic medication shows promise for enhancing providers' comfort with prescribing, according to the report “Detection and Treatment of Mental Health Issues by Pediatric PCPs in New York State: An Evaluation of Project TEACH” published online in Psychiatric Services in Advance. Researchers compared an intervention group of 176 PCPs who volunteered for PT training with a stratified random sample of 200 PCPs who did not receive PT training. Data on prescription practices, diagnoses, and follow-up care were from New York State Medicaid files for youths seen by the trained and untrained PCPs. They found that the percentage of children prescribed psychotropic medication increased after PT training (from 9% to 12%), a larger increase than in the untrained group (from 4% to 5%). For more about this program, see the Psychiatric News article, "New York Child Psychiatry Divisions Fill Gap in Collaborative Care Model." A health coaching intervention for obesity appears to be effective in achieving and sustaining clinically significant reductions in cardiovascular risk for overweight and obese individuals with serious mental illness. That’s the finding of a replication trial of the In SHAPE program in the report “Pragmatic Replication Trial of Health Promotion Coaching for Obesity in Serious Mental Illness and Maintenance of Outcomes,” published in AJP in Advance. In SHAPE is a 12-month program consisting of individual weekly meetings in the community with a health-promotion coach, a fitness club (YMCA) membership, and nutrition education adapted for people with serious mental illness that was found in a previous study to contribute to clinically significant reduction in cardiovascular risk in overweight or obese adults with serious mental illness. In the new study, Stephen Bartels, M.D., of the Department of Psychiatry and the Dartmouth Institute for Health Policy and Clinical Practice at the Geisel School of Medicine at Dartmouth and colleagues randomly assigned 210 individuals with serious mental illness and a body mass index greater than 25 receiving services in three community mental health organizations either to the 12-month In SHAPE program or to fitness club membership alone. The primary outcome measures were weight and cardiorespiratory fitness (as measured with the 6-minute walk test) assessed at baseline and at 3, 6, 9, 12, and 18 months. At 12 months, the In SHAPE group had greater reduction in weight and improved fitness compared with the fitness club membership group. Primary outcomes were maintained at 18 months. Approximately half of the In SHAPE group achieved clinically significant cardiovascular risk reduction, defined by a weight loss greater than 5 percent or an increase of greater than 50 meters on the 6-minute walk test. For more on this subject, see the Psychiatric News article, "Health Mentors Prove Valuable For Those With Serious Mental Illness." The legislative battle went down to the wire, but a lone recalcitrant senator ultimately blocked passage of a bill to help reduce suicides among veterans by enabling the Veterans Health Administration (VHA) to hire more psychiatrists. APA, veterans’ service organizations, and the Department of Veterans Affairs had strongly backed the Clay Hunt Suicide Prevention for American Veterans Act, which the House of Representatives approved unanimously last week. The Senate vote was blocked by a “hold” placed on the bill by retiring Sen. Tom Coburn (R-Okla.), who objected to the allegedly dysfunctional management of the VHA. A hold permits a single senator to block a vote on the Senate floor. In reply, Sen. Richard Blumenthal (D-Conn.) noted that the act included provisions for annual evaluations of the VHA’s mental health care and suicide prevention programs, in addition to encouraging recruitment of “not less than 10” psychiatrists per year into the VHA in part through use of a medical school loan repayment program. 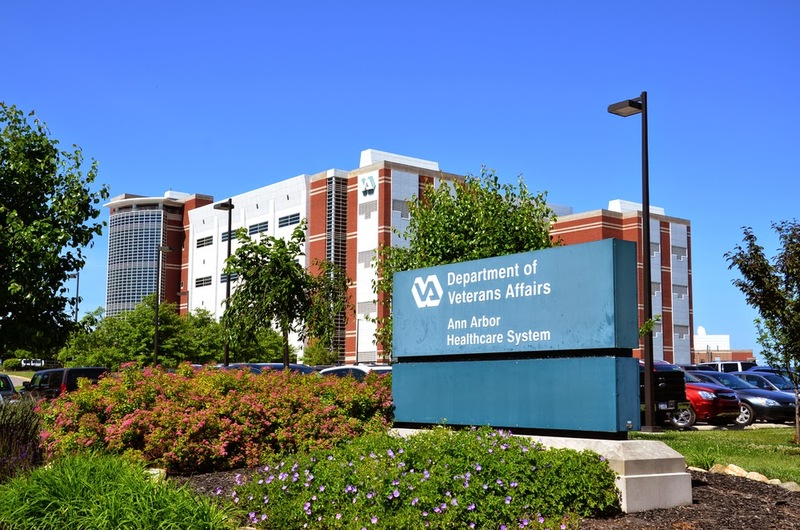 Psychiatrists entering the program would agree to a minimum of two years of service with the VHA in return for a $30,000 per year loan repayment. December 15 is Bill of Rights Day, a time to recognize and reflect on the freedoms and protections that people in this country have, for it is critical to know your rights to protect those rights. 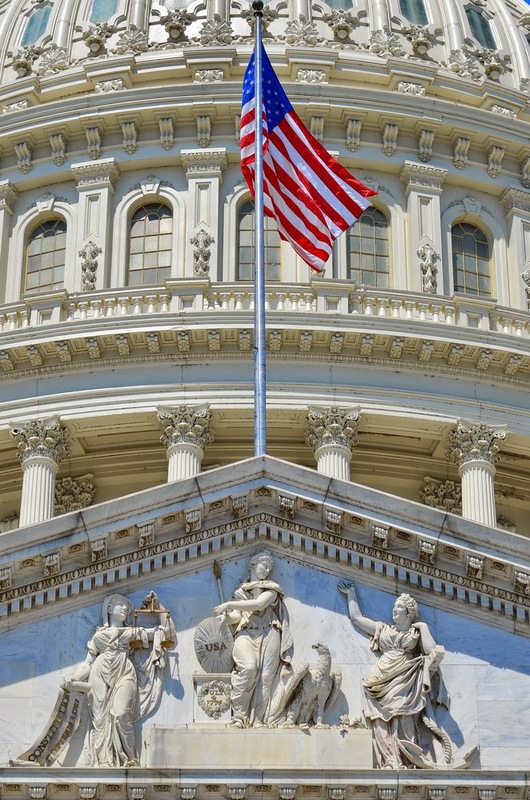 Among the mental health community, an important right was established in 2008 with the passing of the Mental Health Parity and Addiction Equity Act (MHPAEA). This law made it clear that insurers cannot discriminate against patients with a mental illness, including a substance use disorder. 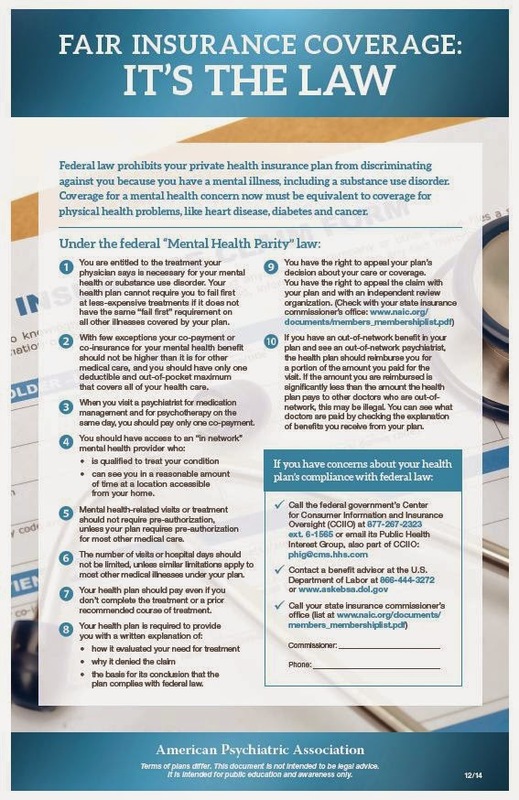 However, the MHPAEA can be truly effective only if it is properly enforced, and to that end, APA created a poster to help educate patients about mental health parity and their rights under the MHPAEA. Titled “Fair Insurance Coverage: It’s the Law,” this poster clearly and simply explains the 10 key elements of the law and the steps to take when a violation is suspected. APA hopes its members and partners join in the effort to protect mental health patients and ensure that all insurers play by the rules. Physicians and therapists should print a copy and post it their office or waiting room, and any other interested parties are likewise encouraged to display the poster in their workplace and/or share the link. Patients and members of the public are invited to download and review the poster as well. Subscribers of Psychiatric News will find a color copy of the poster in the December 5 print edition of the paper. Learn more about the MHPAEA and find resources related to the law here. Yesterday the Food and Drug Administration (FDA) released a warning stating that the use of ziprasidone (marketed as Geodon), intended to treat schizophrenia and bipolar disorder, may increase risk for a rare but serious skin reaction that can result in death. The skin reaction, known as drug reaction with eosinophilia and systemic syndromes (DRESS), may start as a rash that can eventually spread to all parts of body. The condition causes a higher-than-normal number of eosinophils, which can lead to fever, swollen lymph nodes, and inflammation of organs such as the heart, kidney, liver, lungs, and pancreas. The FDA released the warning statement after the agency reviewed information from six patients in whom the symptoms of DRESS appeared between 11 and 30 days after initiating treatment with ziprasidone. 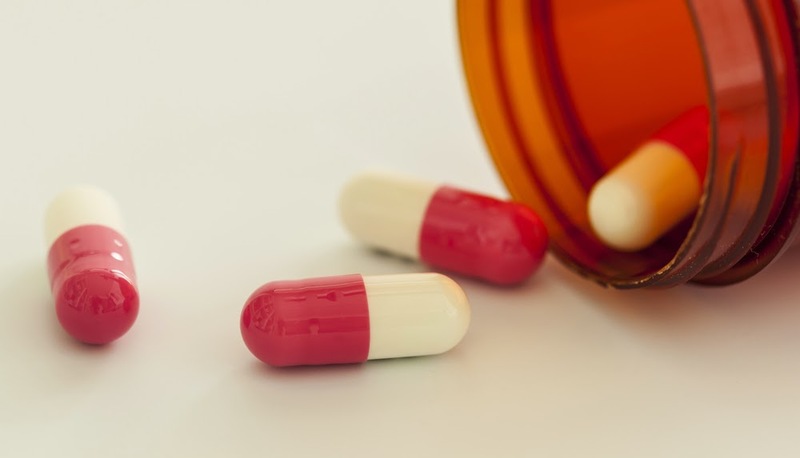 Based on this information, the FDA is requiring Pfizer, the drug's manufacturer, to add a new warning for DRESS to the Warning and Precautions section of the drug labels for the capsule, oral suspension, and injection formulations. The FDA is urging health care professionals to stop patient treatment with ziprasidone if DRESS is suspected. They are also asking physicians, as well as patients, to report any side effects involving ziprasidone in the “Contact Information For Voluntary Adverse Event Reporting” section of the FDA MedWatch website. APA today joins veterans’ service organizations like the Iraq/Afghanistan Veterans of America, Vietnam Veterans of America, the Wounded Warrior Project, and the Disabled American Veterans in urging the U.S. Senate to pass its version of the Clay Hunt Suicide Prevention for American Veterans (SAV) Act (S. 2930) before adjourning for the year. The House of Representatives on Tuesday passed a related bill that, among other provisions, encourages increased recruitment of psychiatrists into the Veterans Health Administration through use of a medical school loan repayment program. APA members can contact their senators by clicking here. Should the Senate adjourn in the next few days without acting on the measure, the bill will have to be reintroduced in January. For more in Psychiatric News about incentives for psychiatrists in the Veterans Health Administration, see: "Psychiatrists’ Pay to Rise at Veterans Health Administration." Among patients with schizophrenia, the cumulative antipsychotic exposure displays a U-shaped curve for overall mortality, revealing the highest risk of death among those patients with no antipsychotic use and those with the highest antipsychotic use. That's the finding of a report on mortality associated with antipsychotic use appearing online in Schizophrenia Bulletin. It has been generally believed that long-term use of antipsychotics increases mortality and, especially, the risk of cardiovascular death, but no solid data existed to substantiate this. So Swedish researchers identified all individuals in Sweden with schizophrenia diagnoses before year 2006 (N=21,492), aged 17–65 years, and individuals with first-episode schizophrenia during the follow-up, 2006–2010 (N=1,230). Patient information was prospectively collected through nationwide registers. Total and cause-specific mortalities were calculated as a function of cumulative antipsychotic exposure from January 2006 to December 2010. They found that the highest excess overall mortality was observed among first-episode patients with no antipsychotic use compared with age- and gender-matched controls from the general population. This was followed by patients with high exposure to antipsychotic medication (greater than 1.5 DDD/day). Patients with low exposure (<0.5 DDD/day) and moderate exposure (0.5–1.5 DDD/day) had lower overall mortality. The high exposure and no exposure patients were associated with higher cardiovascular mortality than either low exposure or moderate exposure. “These results indicate that both excess overall and cardiovascular mortality in schizophrenia is attributable to factors other than antipsychotic treatment when used in adequate dosages,” the researchers state. For more information, see the Psychiatric News article, "Antipsychotics for Elderly Vary in Mortality Risk." More than half of seniors--55 percent--with dementia had no history of cognitive evaluations, reports a new study in Neurology led by researchers at the University of Michigan. 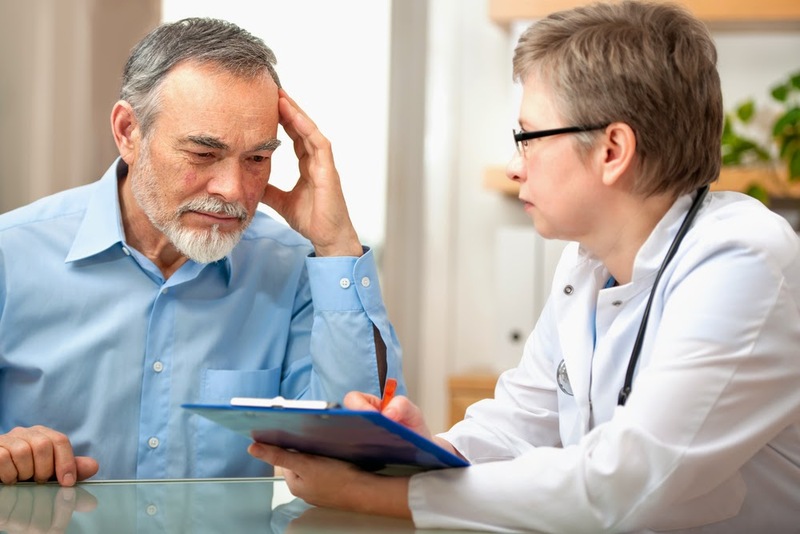 The study authors said that this research does not answer the question of why seniors aren't seeking help, but suggested that it likely involves a combination of factors involving physicians, patients, and the nature of our health care system. For example, the study data were collected before the initiation of Medicare's free annual wellness exams for seniors, which may improve these discouraging numbers. To read about how good physical health can keep the mind sharp, see the Psychiatric News article "Cardiovascular Fitness May Help Prevent Early-Onset Dementia." Antipsychotic prescribing for nearly 40% of patients with first-episode psychosis was not concordant with practice guidelines, according to a report, “Prescription Practices in the Treatment of First-Episode Schizophrenia Spectrum Disorders: Data From the National RAISE-ETP Study,” published today in AJP in Advance. Delbert Robinson, M.D., of Hofstra North Shore-LIJ School of Medicine and colleagues found prescribing patterns were outside guidelines for 159 of 404 first-episode patients at community treatment centers in 21 states. The most common practices that were not concordant with guidelines were use of more than one antipsychotic drug, a higher-than-recommended antipsychotic dosage, using a psychotropic medication other than an antipsychotic, using an antidepressant without justification, and/or use of olanzapine, an antipsychotic that is especially likely to cause significant weight gain but was often prescribed at high dosages nonetheless. But many studies have shown that aggressive treatment of first-episode psychosis is crucial to long-term trajectory of illness and outcome, and American Journal of Psychiatry Editor Robert Freedman, M.D., (pictured above) pointed out that some of the prescribing practices identified in the study may not necessarily be clinically inappropriate. "The prescription acutely of higher doses of antipsychotics, and specifically olanzapine, to first-episode patients is outside guidelines, but whether or not it is misinformed clinical practice has yet to be determined,” he told Psychiatric News. 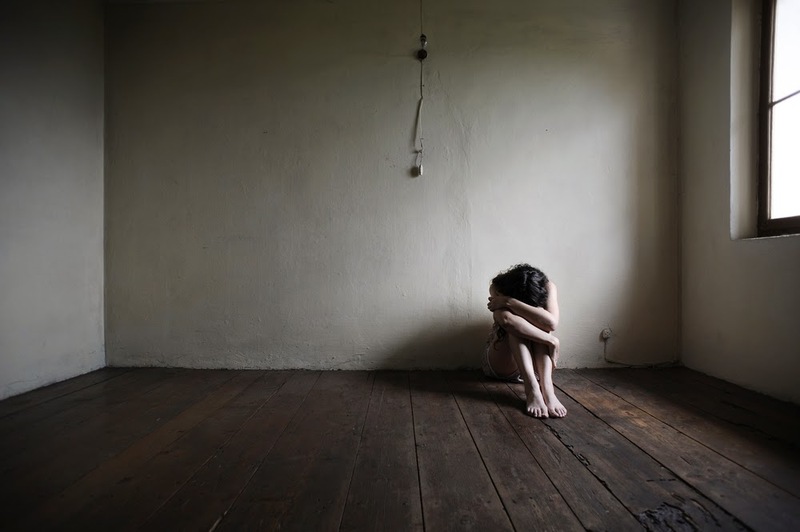 “First-episode patients are often identified by their families and clinicians because they have suddenly become acutely psychotic, and it is often necessary, for both clinical and financial reasons, to decrease their symptoms as quickly as possible." He added that future analyses of the data "may help clarify the reason for these prescription strategies and their utility and thus will ultimately inform guidelines." For more on this subject, see the Psychiatric News article, "Maryland Undertakes Ambitious Effort at Early ID of Psychosis." A large survey conducted by the National Institute on Alcohol Abuse and Alcoholism found that only 55% of adults with attention-deficit/hyperactivity disorder (ADHD) had ever sought treatment for their condition. Comorbid psychiatric disorders, sociodemographic characteristics, and gender were associated with treatment delay, said Elias Dakwar, M.D., an assistant professor of clinical psychiatry in the Division on Substance Abuse at Columbia University, and colleagues in a report in the December Psychiatric Services titled "First Treatment Contact for ADHD: Predictors of and Gender Differences in Treatment Seeking." “The median delay to treatment seeking from ADHD onset was estimated at over 20 years, which is greater than that for general psychiatric disorders in the United States, but consistent with estimates for childhood-onset disorders,” they pointed out. Men over age 60, with less than a 12th-grade education, or who overuse alcohol were less likely to seek treatment. However, single men with some comorbidity like depression, a personality disorder, or a phobia were more likely to seek treatment. Women with age of ADHD onset prior to age 11 or with alcohol dependence or bipolar disorder were more likely to seek treatment. Women with less than 12 years of education or who were African American sought out treatment less frequently. They concluded from their ADHD treatment study that "research is needed to better understand how to optimize receipt of treatment for cases that persist beyond childhood,” concluded Dakwar and colleagues. An intensive training program for behavioral health professionals increased tobacco treatment visits and patient quit attempts, according to the report "Increasing Tobacco Dependence Treatment Through Continuing Education Training for Behavioral Health Professionals," published online in Psychiatric Services in Advance. Jill Williams, M.D. (in photo) of Rutgers University-Robert Wood Johnson Medical School and colleagues examined the effectiveness of a two-day training curriculum on changing clinical practice by reviewing clinical charts from 20 clinicians who attended the training in 2012. Ten medical records were randomly selected for review from each clinician’s outpatient practice at a large behavioral health system, including five charts from smokers seen within six months before and after training. The training included a comprehensive review of behavioral and pharmacologic treatments and techniques on how to work with less-motivated smokers and to develop treatment plans for smokers with behavioral health conditions. Several sessions involved interactive learning through case studies, small-group problem solving, and skills practice sessions. Documentation of tobacco use significantly increased between baseline and post-training. Also, after the training, clinicians advised significantly more outpatients to quit (9% before versus 36% after) or referred them to individual or group counseling. 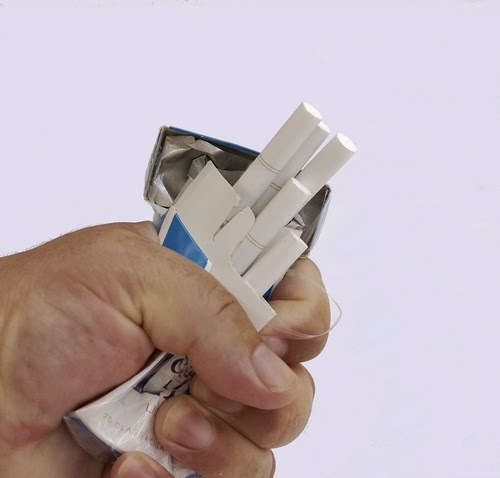 Discussion of nicotine replacement was documented more frequently in charts (10% versus 31%), and prescriptions for smoking-cessation medications increased significantly in the post-training period, although overall prescribing remained low. The number of patients making quit attempts also significantly increased after the training (10% versus 39%), suggesting that providers were delivering more tobacco treatment than was reflected in charts. To read about smoking-cessation treatment in people with mental illness, see the Psychiatric News article "Smoking Cessation for Patients Called an Urgent Priority." Last week, the leaders of four National Institutes of Health (NIH) institutes (National Cancer Institute, National Institute on Alcohol Abuse and Alcoholism, Eunice Kennedy Shriver National Institute of Child Health and Human Development, and National Institute on Drug Abuse) hosted a special open forum in Washington, D.C., to discuss their upcoming Adolescent Brain Cognitive Development (ABCD) study. The ABCD will follow 10,000 children for a decade, from ages 10 to 20, to see how nicotine, alcohol, marijuana, and other drugs affect the trajectory of a developing brain. The study will incorporate advanced neuroimaging data along with other evaluations of mental, physical, and social health. NIH held this special event, which coincided with Neuroscience 2014 (the annual meeting of the Society for Neuroscience) to welcome additional suggestions or concerns on how to optimally configure such a large and complex adolescent cohort study. The forum touched on several key topics, with issues of sample composition, data sharing, and the reliability of functional magnetic resonance imaging (fMRI) leading to some particularly lively discussions. Harvard Medical School neurology professor Michael Charness, M.D., who moderated the event, noted that the NIH would also accept additional comments related to ABCD for a while longer before the study design is finalized. NIH anticipates the official funding announcement will be released in early 2015. Anyone wanting additional information about ABCD or to make suggestions for the study can contact Susan Weiss, Ph.D., NIDA associate director for scientific affairs at (301) 443-6487 or at sweiss@nida.nih.gov, or Peggy Murray, Ph.D., director of the International Research Program at NIAAA at (301) 443-2594 or at pmurray@mail.nih.gov). A bipartisan group of U.S. senators expressed concern at a hearing Wednesday about what they see as the slow pace of change in the Veterans Health Administration’s (VHA) mental health care system—a concern intensified after listening to two women whose sons, veterans of Iraq or Afghanistan, had died by suicide. “When people are hurting, they don’t want to wait to get help,” stressed committee chair Sen. Bernie Sanders (I-Vt.), who then asked how the $5 billion authorized for hiring additional clinicians was being spent. Those funds were not specifically allocated for mental health care providers, replied psychiatrist Harold Kudler, M.D. (above, right), chief mental health services consultant for the VHA. However, the agency was nevertheless allocated a share of those funds to recruit more providers, increase points of access, and test new modes of outreach in rural areas. Still other avenues could be explored in the effort to reduce the number of veterans who die by suicide, said psychiatrist Elspeth Cameron Ritchie, M.D., M.P.H., (above, left), a retired Army colonel who is now chief clinical officer of the Washington, D.C., Department of Behavioral Health and a member of an Institute of Medicine panel that studied the effectiveness of treatments for posttraumatic stress disorder. The VHA should, for example, conduct more research to understand which of its patients are at increased risk for suicide, Ritchie said. Service members also should be screened with closer attention to specific tasks they performed while deployed, as well as for any toxic exposures—like Agent Orange or the antimalarial drug mefloquine—which might produce symptoms of psychiatric illness or increased suicide risk. 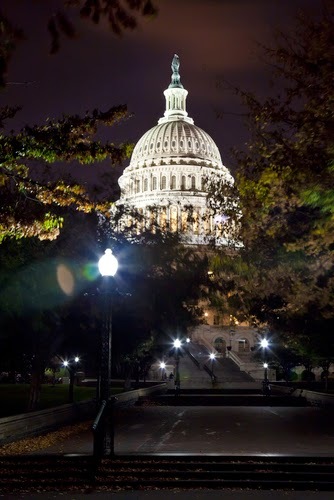 The testimony was presented as the Senate considered the Clay Hunt SAV [Suicide Prevention for American Veterans] Act, which includes measures for suicide prevention and medical school loan forgiveness for psychiatrists and certain other practitioners who join the VHA. Today marks this year's Great American Smokeout, a day when the American Cancer Society (ACS) encourages smokers to make a plan to quit, or to plan in advance and quit smoking that day. "By quitting—even for one day—smokers will be taking an important step towards a healthier life—one that can lead to reducing cancer risk," the ACS emphasizes. "Tobacco use remains the single largest preventable cause of disease and premature death in the U.S.," the organization points out, yet despite all the warnings and data documenting severe health risks, about 20% of Americans still smoke. And the benefits of quitting smoking are by no means limited to improvements in physical health. "Smoking cessation is associated with reduced depression, anxiety, and stress and improved positive mood and quality of life compared with continuing to smoke. The effect size seems as large for those with psychiatric disorders as those without. The effect sizes are equal to or larger than those of antidepressant treatment for mood and anxiety disorders," researchers have found in a study published in BMJ based on a systematic review of research and a meta-analysis. "Smokers can be reassured that stopping smoking is associated with mental health benefits," the researchers emphasized. For more on smoking and mental health, see the Psychiatric News article "Smoking Cessation for Patients Called an Urgent Priority." 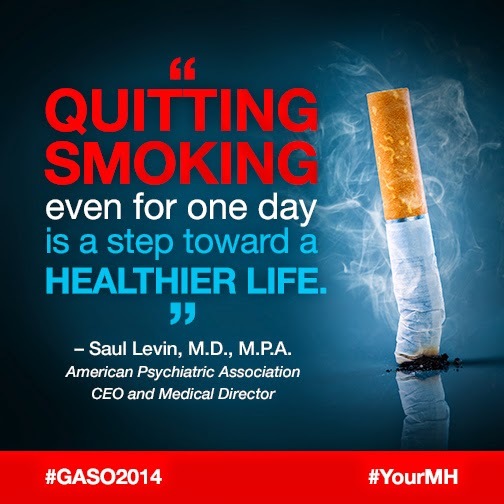 APA is holding a #YourMH @twitter chat today on smoking cessation in observance of the Great American Smokeout. Join your APA colleagues in responding to questions and comments from the public from noon to 1 p.m. EST. 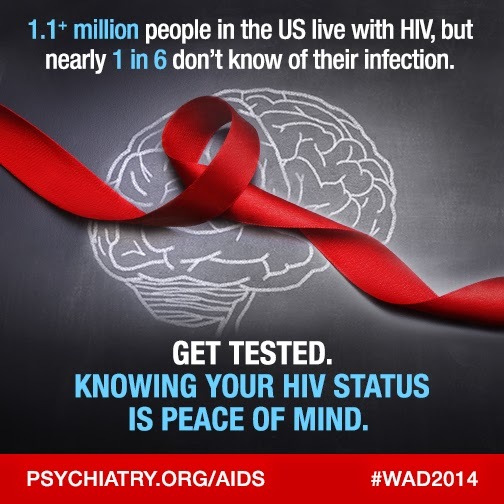 To join, use #YourMH (stands for "Your Mental Health") or @apapsychiatric. If you haven't created a Twitter account yet, click here to do so now. Here's your chance to share your knowledge and insights. A recent study published in JAMA Psychiatry shows that a key region of the brain involved in emotion may be smaller in size in youth who had been diagnosed with depression as preschoolers, compared with their peers who were not diagnosed with depression. 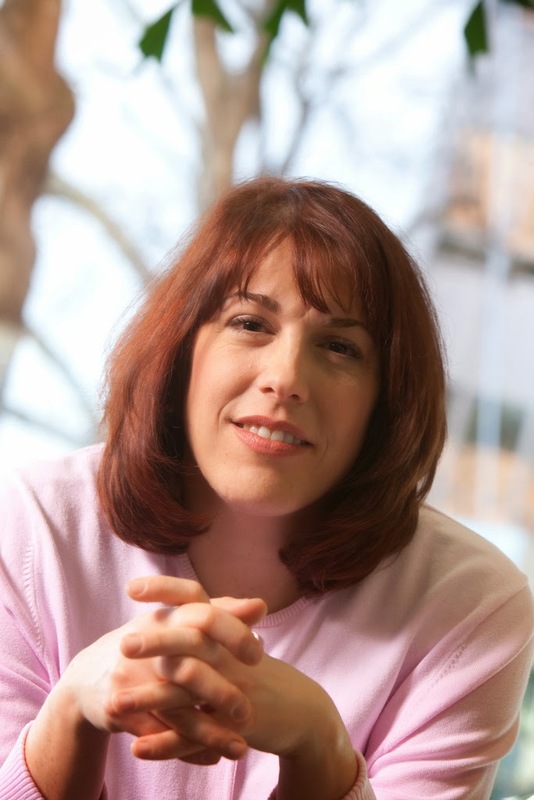 Joan Luby, M.D. (photo), director of the Early Development Program at Washington University School of Medicine in St. Louis, and colleagues conducted a study in which approximately 130 youth with and without a previous diagnosis for major depressive disorder (MDD) were followed from preschool-aged years to adolescence to assess the psychopathological and long-term neuroanatomical consequences of the onset of MDD in early childhood. The results showed that more than 55% of those with early childhood MDD displayed pathological guilt during their preschool years, compared with 20% in the nondepressed group. Using magnetic resonance imaging (MRI), the researchers found that the right anterior insula—involved in emotion and self-perception—was smaller in adolescents with a history of MDD and guilt during early childhood, compared with that of their counterparts without such medical history. The data also showed that adolescents with smaller insula were more prone to experiencing recurrent episodes of clinical depression as they aged. The researchers noted that “excessive guilt and depression may put preschoolers on a developmental trajectory that contributes to problems with depression later in childhood and even throughout life.” They concluded that the current findings concerning the brain’s right anterior insula "are consistent with mounting research in adult MDD suggesting that insula function and structure may be a target biomarker for major depression." To read more about how the size of brain regions may serve as biomarkers for psychiatric disorders, see the Psychiatric News article "Brain-Region Size May Be Long-Sought Biomarker." Yesterday, the Food and Drug Administration (FDA) released a statement concerning the therapeutic benefits of two generic versions of Concerta tablets (methylphenidate hydrochloride extended-release tablets), intended to treat attention-deficit/hyperactivity disorder (ADHD) in adults and children. The agency is asking whether the generic products are bioequivalent to the brand-name drug. 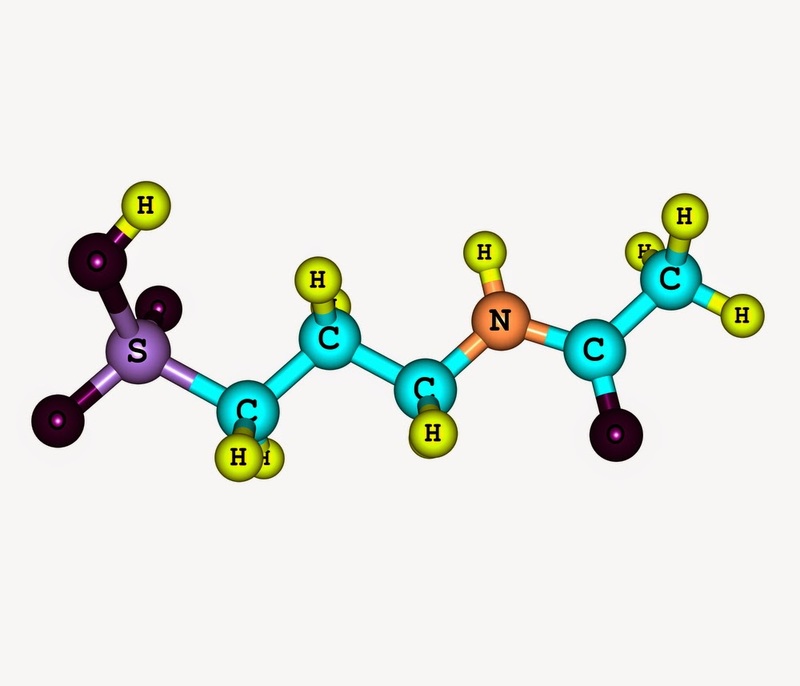 The FDA’s inquiry was prompted by an internal reexamination of previously submitted data for the three approved generic versions of Concerta, which included non-brand-name methylphenidate hydrochloride extended-release tablets manufactured by Mallinckrodt Pharmaceuticals, Kudco Ireland Ltd, and Concerta manufacturer Janssen Pharmaceuticals. The results showed that while Janssen’s generic version was therapeutically equivalent to brand-name Concerta—releasing medicine in the body over a period of 10 to 12 hours—the generic versions manufactured by Mallinckrodt and Kudco were more likely to deliver the medicines at a slower rate during the designated time range, which may lessen the drug’s desired effect in some patients. 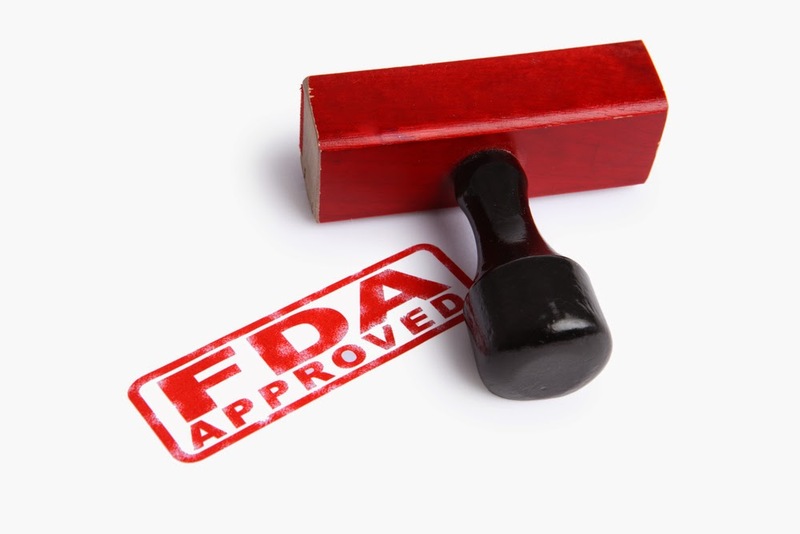 As a result, the FDA changed the therapeutic equivalence (TE) rating for the Mallinckrodt and Kudco products from AB to BX—meaning that the products are still approved and can be prescribed, but are no longer recommended as automatic substitutes for Concerta at pharmacies. The FDA has asked Mallinckrodt and Kudco to confirm the bioequivalence of their products within six months or to voluntarily withdraw them from the market. In a statement, the FDA said, “If you or your health care professional are concerned the drug product is not providing the desired effect and you do not know the manufacturer, contact the pharmacy where the prescription was filled to verify the product’s manufacturer.... [Also] contact the prescribing health care provider to discuss whether or not a different drug product would be more appropriate.” The FDA has not identified any serious safety concerns with the two generic products. Read the FDA press release on generic versions of Concerta here. Researchers at the Mayo Clinic have identified a potential biomarker to identify which people would most benefit from acamprosate treatment for alcoholism. In a genetic study that evaluated 225 individuals who were participating in either a residential or outpatient sobriety program, the research team found that a variant of the GRIN2B gene was associated with longer alcohol abstinence over the three-month study period. The GRIN2B gene encodes a portion of the NMDA receptor, which is involved in learning and memory but has also been tied to several alcohol-related issues including dependence, withdrawal, craving, and relapse. A second analysis of 110 alcohol-dependent subjects in Germany identified a similar connection between GRIN2B and sobriety in people taking acamprosate, which provides a key step forward for future applications in pharmacogenetic screening. "Previous studies have suggested other genes as possible biomarkers for sobriety," said lead author Victor Karpyak, M.D., Ph.D., an assistant professor of psychiatry at Mayo, "but this is the first time we have verified a biomarker in an independent population." Karpyak did note that since all the participants were taking acamprosate, other biological mechanisms cannot yet be ruled out. His group is preparing a blinded, placebo-controlled study to confirm whether the abstinence effects are connected with acamprosate usage. To read about another potential medication that can improve alcohol abstinence, see the Psychiatric News article "Anticonvulsant Drug Shows Efficacy in Treating Alcoholism." Psychiatrists and mental health professionals who never served in the Armed Forces are increasingly called upon to provide mental health care services for military veterans, and successfully engaging that population in treatment will require understanding of the military's unique culture. That culture includes some obvious attributes such as service branch, rank, uniforms, or medals, said Andrew Pomerantz, M.D., the national mental health director for integrated care at the White River Junction VA Medical Center in Vermont and an associate professor of psychiatry Dartmouth Medical School. But there is much more to it than that, said Pomerantz, who spoke on a webinar Monday as part of a series cosponsored by the Joining Forces Program and APA. “Military service members see themselves less as individuals and more as members of a group focused on a mission,” said Pomerantz. “They have an emotional investment in the group.” This may be reflected in their perception and labeling of health matters. To maintain a self-image of strength to serve the group, they may delay seeking care and minimize symptoms, especially mental health symptoms, he said. 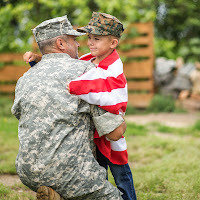 Reintegration back into civilian life is not easy, but most veterans just need a little help and support.